Call us today at 800-697-4705 or contact us online– We can help you get what you need. 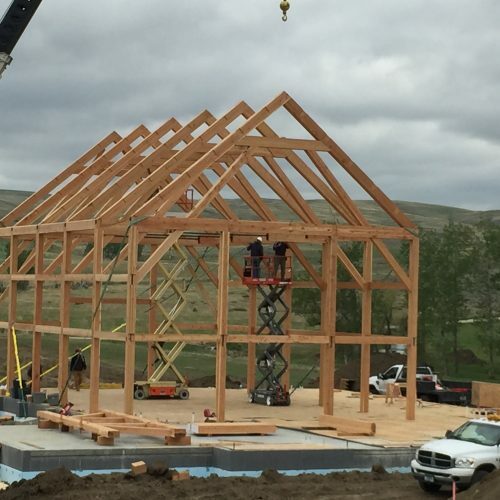 When choosing timbers there are many factors that are important to consider, including which drying method is used, if the piece is structurally strong enough for it’s purpose, and how it is cut for both structural purposes and beauty. There are a few timber drying options to choose from. There are benefits and drawbacks to each. When considering which method you want to use, consider what the timber will be used for as well as how much you want to spend. 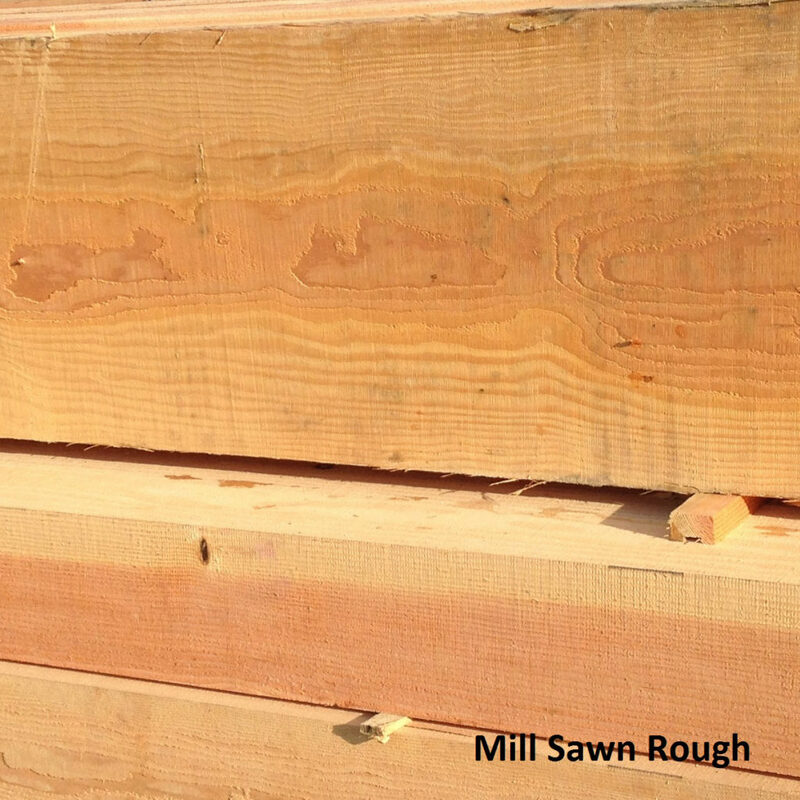 The moisture content of our green timbers is 30-35%. 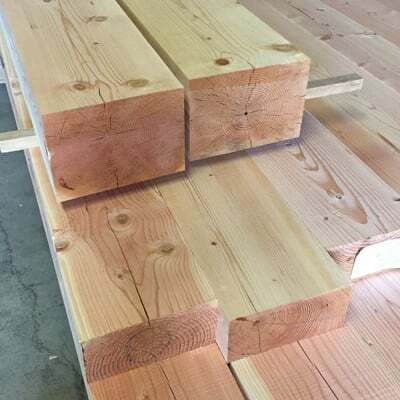 Green timbers are the least expensive and quickest shipment. These timbers will shrink, in width and thickness as the timber begins to dry. 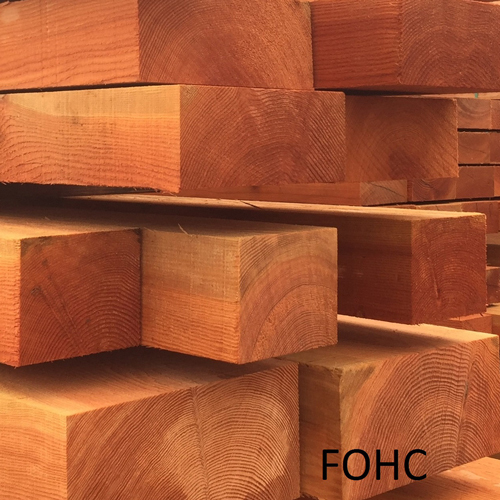 Timbers Cut FOHC (free of heart center) help compensate for excessive cracking that will occur as the timbers naturally dry. Our timbers are sprayed with an anti-stain solution which helps limit mold that may occur in a natural drying process. 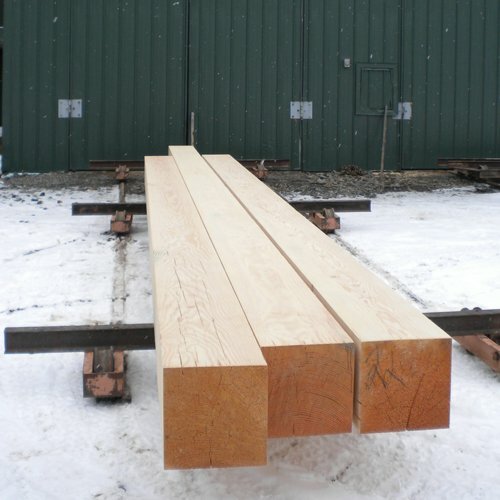 The moisture content of our KD timbers is 15-19%. Kiln drying eliminates potential mold problems associated with green or unseasoned timbers. 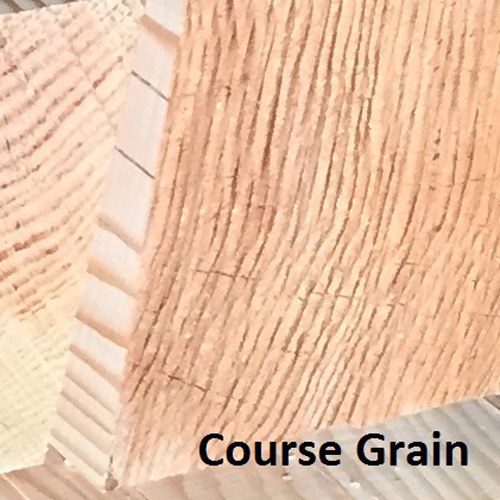 Drying typically takes 10-15 days, and removes loose water in the wood fibers that would normally take months or years to dry. Drying this way also minimizes the size and extent of cracks that will occur if dried too much. 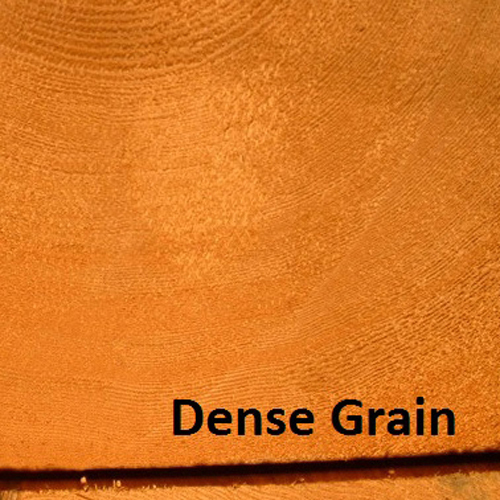 The cost of drying timbers is only 15-20% more than green or unseasoned timbers. 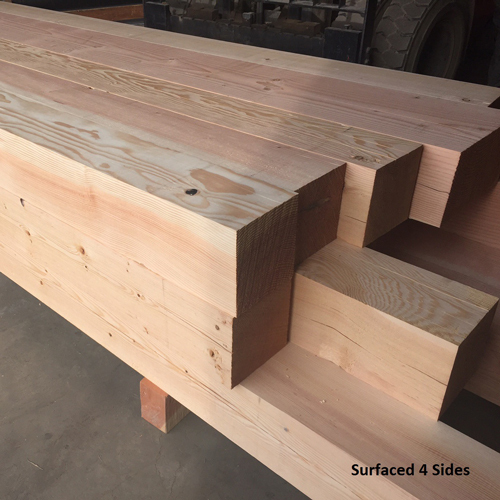 Standing dead timbers can be a cheaper alternative to KD timbers, but are generally smaller in diameter and shorter in length. They may be infested with insects creating bug holes. A sap stain also generally occurs with standing dead timber, although it does little structural damage to the timber. Kiln dried timbers can offer a better alternative to the quality and limited size of standing dead timber. 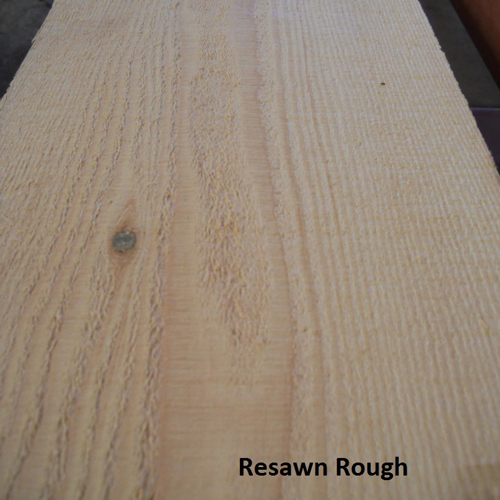 RF drying timbers is a faster, more costly process that dries timbers from the core out. 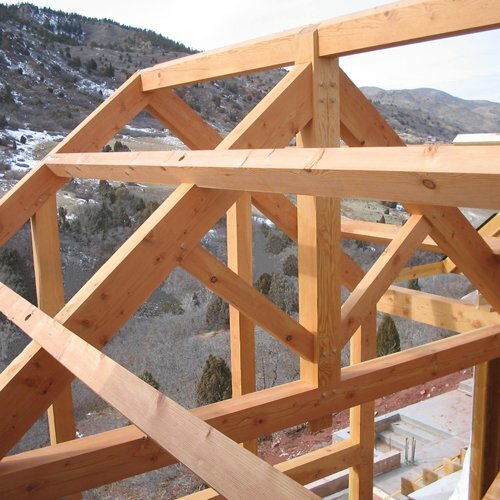 To insure the proper quality, timber must be cut larger than normal. Because the wood is dried from the center out, care must be taken not to over dry the timber causing interior cell structure to collapse, and degrade the strength of the timber. After RF drying, timbers should be resawn to square the timbers. This compensates for excessive shrinkage, twist and warp. Have questions about our Timber? Interested in ordering Timber?